Not a big fan of cranberry sauce? 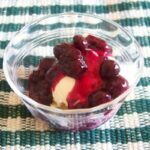 Try a sugar free cranberry sauce with blueberries. 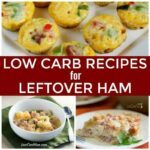 It’s a tasty low carb alternative for holiday meals. We served a low carb blueberry cranberry sauce with our Thanksgiving turkey dinner this year. 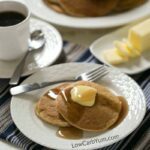 It was an excellent low carb alternative for those sticking to healthier diets during the holidays. The blueberries added sweetness to the tart cranberries which lessened the amount of sweetener. 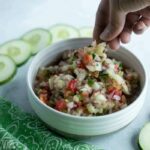 I used Pyure All Purpose in this sauce, which has a sweetness about twice that of sugar. I’ve been using this new organic sweetener a lot lately. My local Walmart Supercenter carries Pyure for less than $7 a bag. 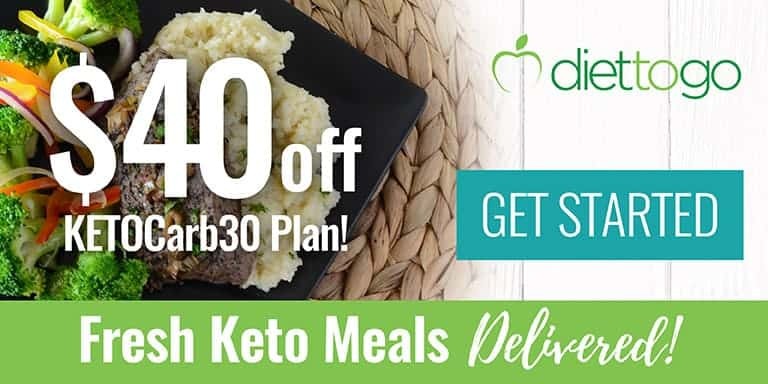 This is a bargain compared to many of the other low carb sweeteners. I also like that it is certified organic and the erythritol is GMO free. Our holiday meal was very simple as I wanted to keep leftovers to a minimum. I enjoyed the sugar-free cranberry sauce with blueberries along side the traditional turkey and low carb mashed cauliflower. My son didn’t realize he accidentally took some of the cauliflower instead of mashed potatoes. He took a bite and noticed the texture was a bit off. When I told him it was cauliflower he was shocked, but continued to eat them. 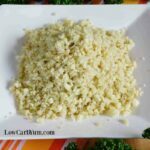 After taking and eating some regular mashed potatoes, my son told me the cauliflower tasted better. Not bad coming from a regular high carb eater. My son has been away at college and the food on the meal plan is quite terrible so anything is an improvement for him. The sugar free cranberry sauce with blueberries an low carb faux mashed potatoes were a treat for him. 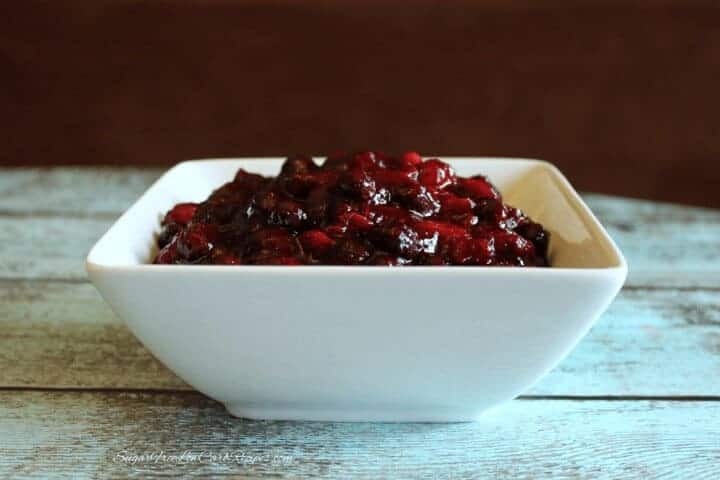 If you’d like to try another great low carb cranberry sauce, check out the cranberry relish over at Low Carb Maven. 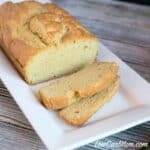 It’s a great recipe that adds in the flavor of orange, ginger, and cloves. As many of the regular blog readers may have noticed, this website has been updated with a fresh new theme. I have been slowly preparing for this redesign since returning to blogging. It has been some time since I’ve worked on the back end coding of this website. It took quite a bit of time to research what I needed to do. It’s been rough the last month and a half as I have also been doing long hours at my regular job. In between the 72 hour work weeks and taking care of a toddler, I managed to squeeze in some time for the blog. Some of the information for overhauling a WordPress blog was difficult to find. 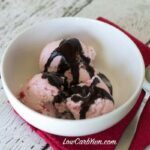 I may add a section to this blog for other bloggers who are either looking to start a blog or wanting to do a redesign. 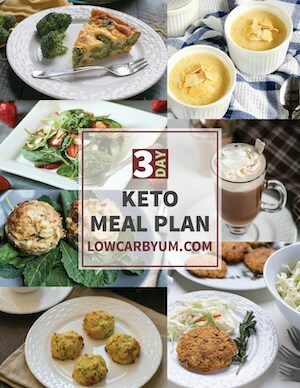 Now that the major website update is complete and my work hours are back to normal, I’m hoping to have more time for low carb recipes and posting new content on the blog. 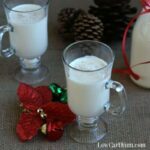 The holiday season is here and I’m anxious to try some new sugar-free treats. I have such a backlog of recipes to try it’s going to be tough to decide on which ones to try first. Not a big fan of cranberry sauce? Why not add some blueberries to the mix. 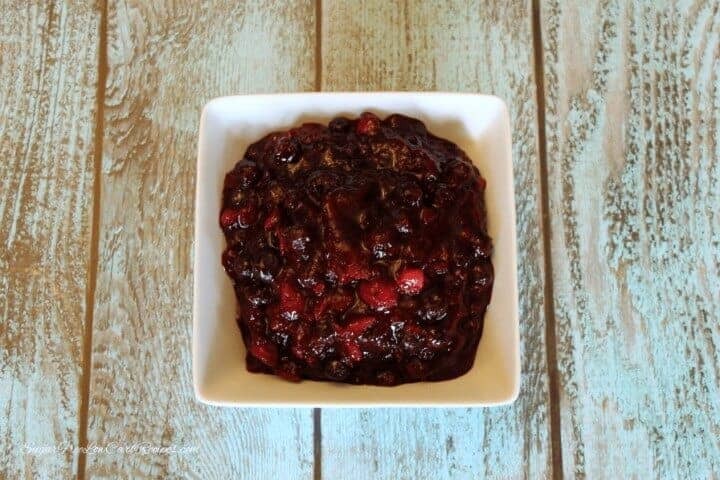 This low carb blueberry cranberry sauce is a tasty alternative for holiday meals. 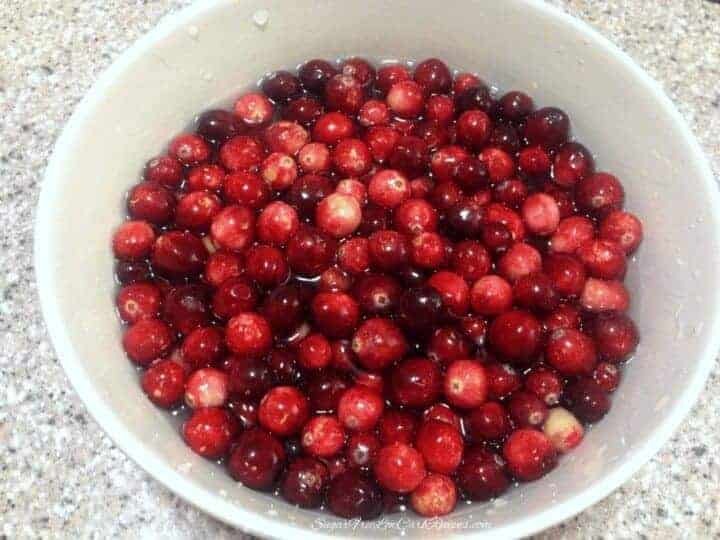 Wash cranberries and discard any bad ones. Reduce heat to medium. Stir and simmer cranberries for 10 minutes or until the berries burst. Mash the cranberries slightly with spoon. Remove from heat. Stir in the blueberries, cinnamon, nutmeg and allspice. Stir to combine. How far in advance can this br madr? At least a couple days. 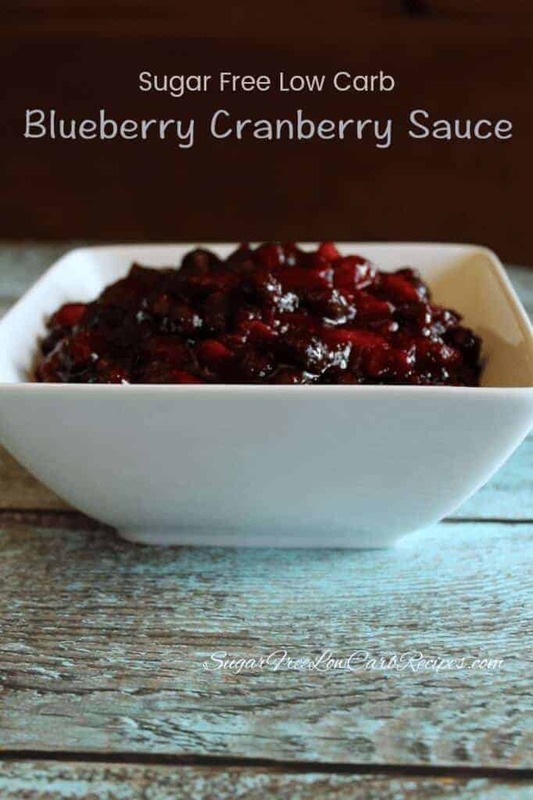 I love cranberry sauce and can’t wait to try this! Whoa!!! 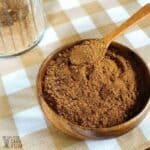 With an equivalency of 1 cup sugar to 1 tsp Stevia, how many cups of sugar would be required to match the stevia in the recipe?? Wow, that’s 2-2/3 cups of sugar!!! Not that that’s a bad thing…. ??? 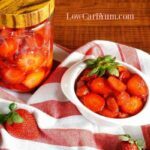 The sugar equivalent used in the recipe is only 2/3. So, what would be the equivalent in REAL sugar. I don’t have an issue with sugar. I’ve been printing from your site directly to my printer but with the new IOS10 upgrade your site is the only site that will not print. Do you have any idea how to rectify this problem? I’m not sure as I’m not having that issue. However, I will be changing the way all my recipes print in late October or November. I usually just cook the cranberries with sweetener, but … Boy does this sound good. I’ll be trying it soon. I eat a lot of chicken and pork so it will really be a welcome change. Thanksgiving and I thank you! Love the new blog, very nice! You are a multi-talented person!